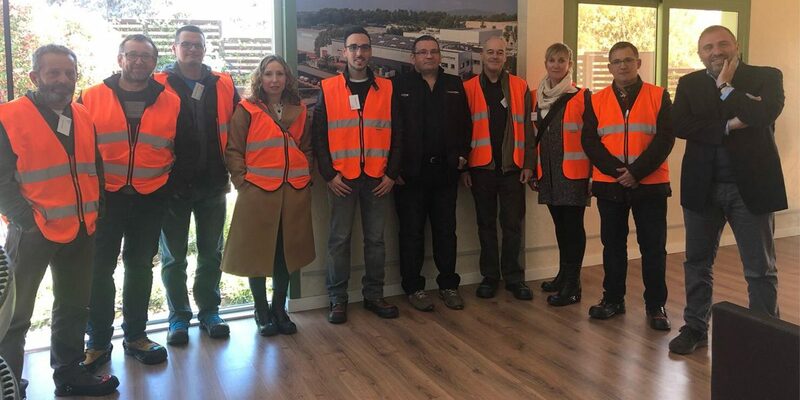 following our desire and commitment to continuous improvement Menage Confort continues taking steps towards the implementation of the Lean Management System, which will contribute to improve our processes and give a better service to our customers. On April 4 the people involved in its implementation had the opportunity to visit the facilities of Plasticband. It was the perfect occasion to exchange experiences and knowledge on this subject. We take this opportunity to thank Jordi Guibert and the entire Plasticband team for their kind welcome and opportunity to share their knowledge.